Chocolate and It’s Healthy Delecious Goodness! March 10, 2013 March 10, 2013 Wallace Bishop I.N.H.C, C.N.C. Chocolate comes in many forms and truthfully I am a chocoholic. I eat dark chocolate and raw cocoa powder several times per day. The taste is awesome and the benefits are huge. 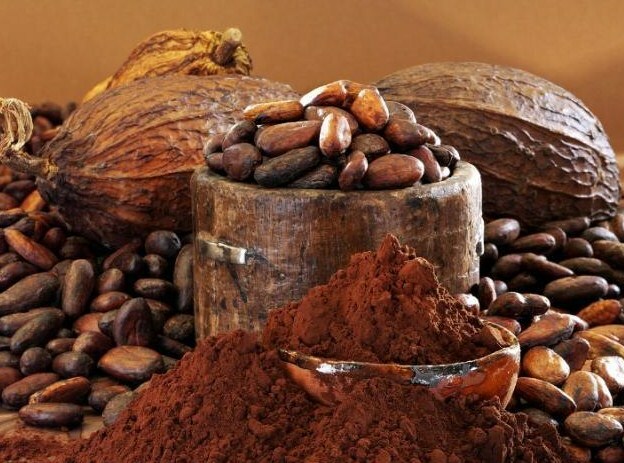 Raw cocoa added to your NutriBullet can supercharge your body in many ways. Be creative with it. Warning- not all chocolates are healthy! Milk chocolate or other candies in which chocolate is added does not have the health benefits of dark or raw chocolate. They most likely have milk and lots of sugar in them. Even healthy dark and raw chocolate is high in calories so limit your amount so you do not gain weight. It only takes 1 to 2 ounces of dark chocolate or raw powder once a day to get the health benefits of chocolate. It’s also good when your sick, if you can’t get the rest you need or your dieing of the flu just try a bit of dark chocolate. The Xantheose, an ingredient in dark chocolate, has been proven to suppress a cough and help with symptoms and inflammation. This effect is attributed to the antioxidants present and likens this food to blueberries, acai berries and many more super foods. Previous Post Fruits, Can We Eat Too Many? Next Post Should You Count Calories, Yes or No?